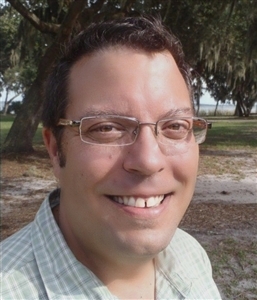 LAKELAND, FL – Mike Standifer, the current Director of the Warren W. Willis Camp, will serve as the part-time interim Executive Director of Camp and Retreat Ministry, according to the Board of Camp and Retreat Ministry (BCRM) for the Florida Conference. Standifer will assume the position on January 1, 2012, which became open when current Executive Director David Berkey accepted the Director of Camping position for the California-Pacific Annual Conference. “I am excited about this opportunity,” said Standifer. “I’ve been on the Conference staff before, and am looking forward to strengthening the connections between our Camp and Retreat Ministry and the Conference as a whole.” During the 9-12 month interim period, Standifer will continue as Director of the Warren W. Willis Camp. Standifer joined the Conference staff as the Youth & Summer Camp Director in June 1993. During his 19 years overseeing summer camp at the Warren Willis Camp, participation has grown from 1200 campers in 1993 to over 3800 in 2011. Standifer demonstrated his leadership abilities in both program management and facility oversight when the BCRM merged those roles in 2005.